SHEEE'S BACK!!! Yes, I'm still here! I know, I know... it's been 10 months since The Terrier Tattler last hit a web browser near you. What can I say... I've been very busy and it seemed one week passed, then two, then months... Time got away from me and before I knew it... it's a whole new year! Well, I got my assistant Tracy to sit down for a few hours and put out this first edition of 2010. I'd like to say I'll be more diligent in 2010 than I was in 2009... but only time will tell. Hope you are all well and that your new year has started well. It's been very interesting in my home - you'll hear about that later in this edition! So, I started doing a little searching on the net. 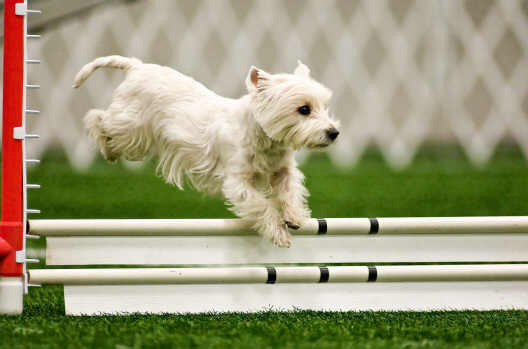 I am obviously very familiar with the characteristics of the Westie breed and figured there must be many schools that have a Westie as their mascot. 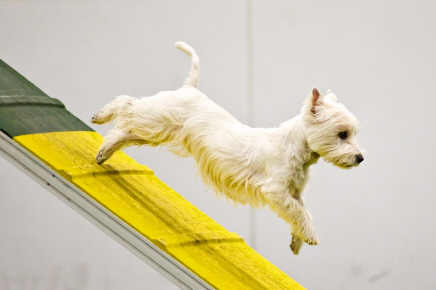 I mean, Westies are hardy, assertive, intelligent, energetic, and just darn cute! Who wouldn't want a Westie? But NO WESTIES!!! 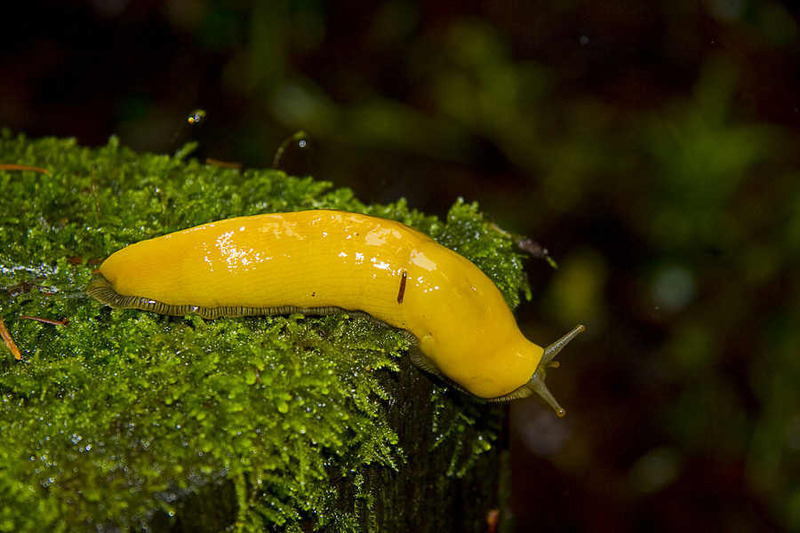 UC Santa Cruz has a BANANA SLUG for a mascot!! I'd love to hear how you think I could correct this injustice! 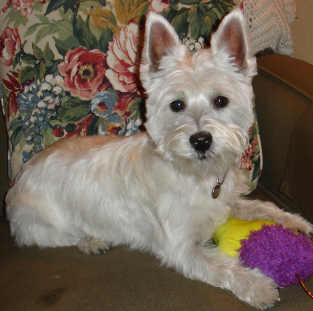 I know it's hard to believe... but there are Westies (and many other dogs too) that are in need of homes. Sometimes their owners are unable to care from them any longer (maybe due to cost, behavior issues, health problems, etc.). There are also some very unfortunate Westies that are in nasty places called Puppy Mills where the dogs live in a crate their entire life. Well, there are some pretty awesome people out there that help these dogs in need. I've written in the past about my friend Skippy's mom Shell who works really hard for Cairn Rescue USA. 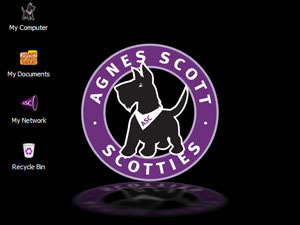 Well, my assistant Tracy and my 'dad' John wanted to help these unfortunate Westies. 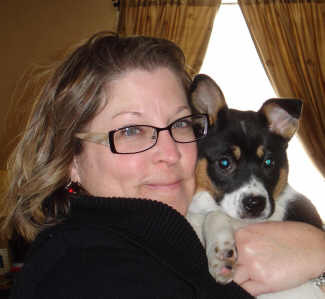 So, Tracy became a volunteer with Westie Rescue of Missouri. This group will take any Westie in need, care for them until they are healthy (physically & emotionally) and then ensure they find the perfect home for them for the rest of their lives. We are now something call a Foster Home for rescue pups, which means a Westie will come and live with us for a while. So far we've had three foster pups - all really nice Westie boys. I've tried to be a good role model for them, but you know it's really hard for me to share my toys! Wesley LOVES having more playmates around and wears himself out wrestling with them. So far, we've had three foster pups. The first one, Harley, was a 7 year old whose family was moving and unable to take him along. He was a real sweetheart and a very small guy (only 12 pounds!). He's now a very lucky pup living in the Des Moines area and travelling with his new family in their RV (he's already been to Florida!). People ask how Tracy and John are able to have these dogs in our home (and their hearts) and then let them go to someone else. Well, I certainly prefer it that way, since I'm not ready for a PERMANENT new brother! 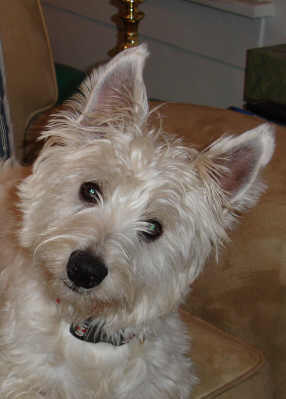 But Tracy explained that our job is get these Westies healthy and happy, so they can find the perfect home for them. My job is to help them learn things - like how to play, how to go up stairs, etc. The rescue groups really work hard and can always use more hands or donations. 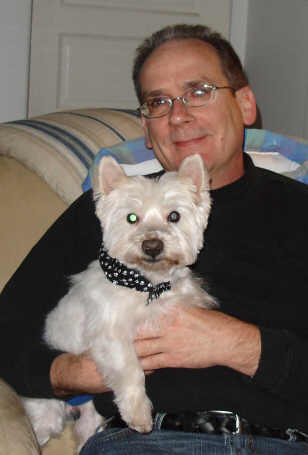 You can learn more about the Westie Rescue of Missouri at http://www.westierescueofmissouri.com . Please send your accomplishments to Bianca@2westies.com. I have to tell you HOW EXCITED I am to announce that my brother Wesley accomplished his MX AKC Agility title!!! OK, I got my MX a LONG time ago, but Wesley is special and not the most driven pup out there on the agility course (he's the one having the most fun, tho!). Wes went almost two years without an Excellent B 'Q' (perfect run) but in the past six months he's gotten FIVE Q's! Way to go, Wesley!!! Please send your photos to Bianca@2westies.com. My cousin Maddie passed away several weeks ago. She was 13 years old and my Aunt Lisa's best buddy for all that time. After a month or so, Lisa decided it was time to bring another pup into her life. When she came to visit recently, she and Tracy visited a local rescue organization that had received some pups from an animal shelter in Tennessee. Lucy captured her heart immediately on the rescue group's web site. When Lisa first saw Lucy face-to-face, it was love at first site. Lucy is in very good health and a fun-loving 3 month old. They said she has some Corgi in her, but her legs are pretty long! All I know is she's not too obnoxious and very soft! Wesley thinks she's fun (he loves anyone he can boss around). Welcome to the family, Lucy!!! I must admit that I've been called SASSY before (and must admit it fits). 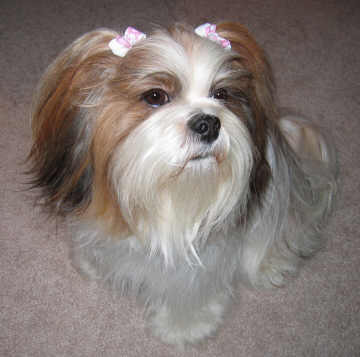 But this little cutie is named Sassy! How cute is that and her! I am so jealous that she can wear those cute ribbons - I've always wanted some! Another Ricelli girl has been added to the pack! Check out baby black Lab Cha Cha!!! Bella is loving having a little sis to play with! I know there are several of you out there that have sent AB FABS and PUP PHOTOS over the past 10 months. Since I've on a sabbatical from my newsletter publishing, I don't have them any longer. Please feel free to resubmit any news/photos you'd like to share and I'll get them in the next edition!